Small compared to the billions and trillions of red ink the federal government confronts, but still a formidable problem. Particularly given all the other players in this space, including a certain search company whose $6 billion acquisition offer Groupon spurned last year. I would have taken the money and run. 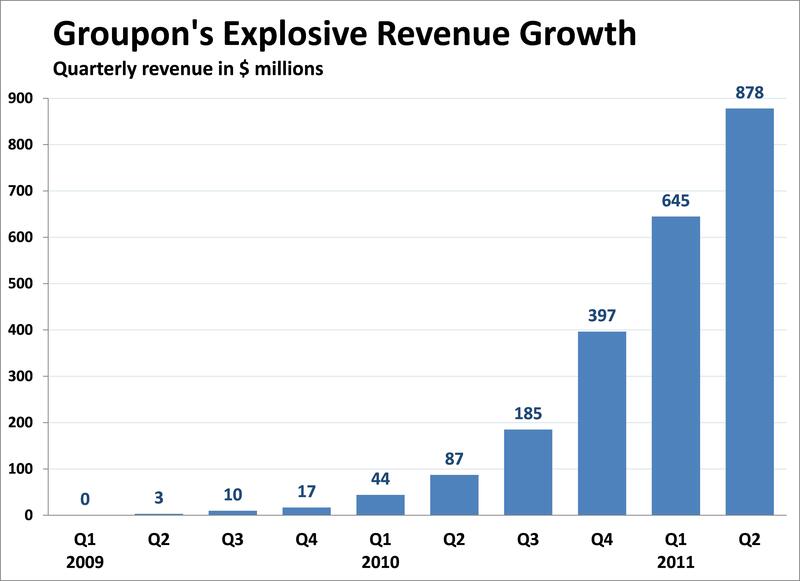 But perhaps I am not seeing the secret ingredient that will give Groupon a persistent competitive advantage in the face of vigorous competition. 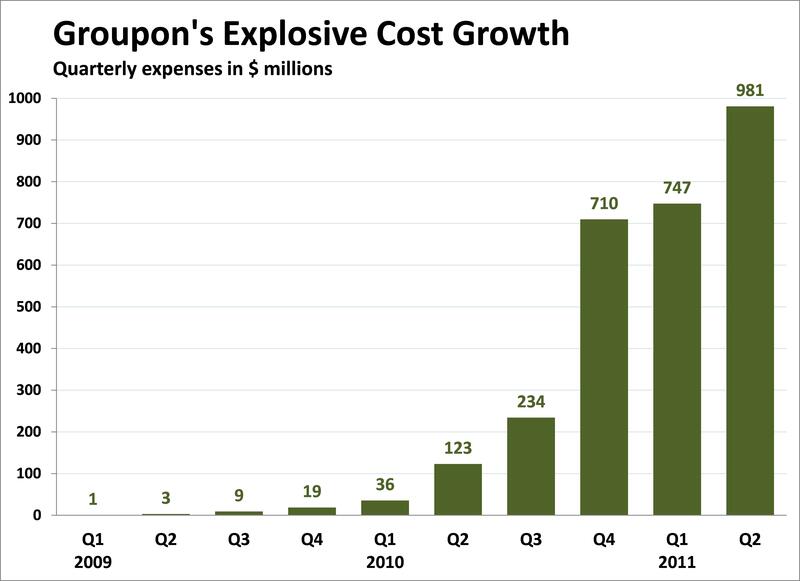 We’ve all heard the rumors that Groupon is the fastest growing company ever. Today it finally opened its books in its preliminary filing to go public. 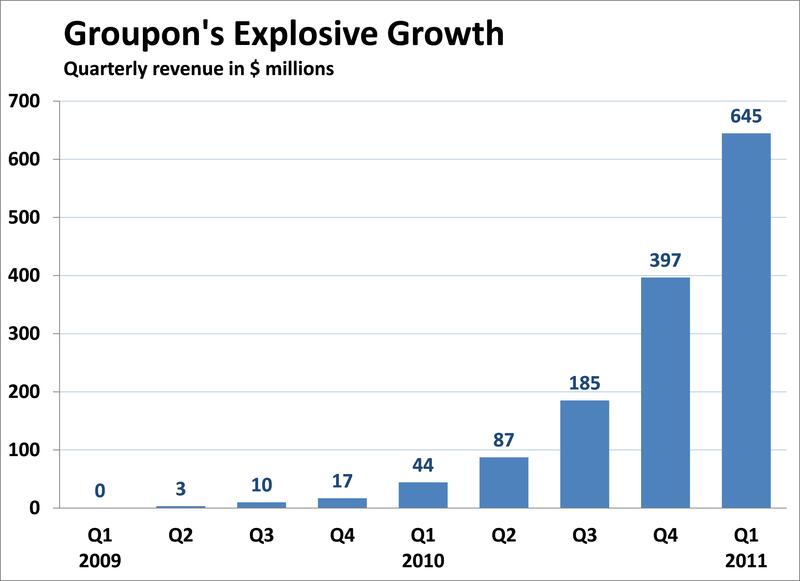 In the first quarter of 2009, the online deal company mustered only a quarter of million in revenue. In the first quarter of 2011, it brought in almost $650 million. 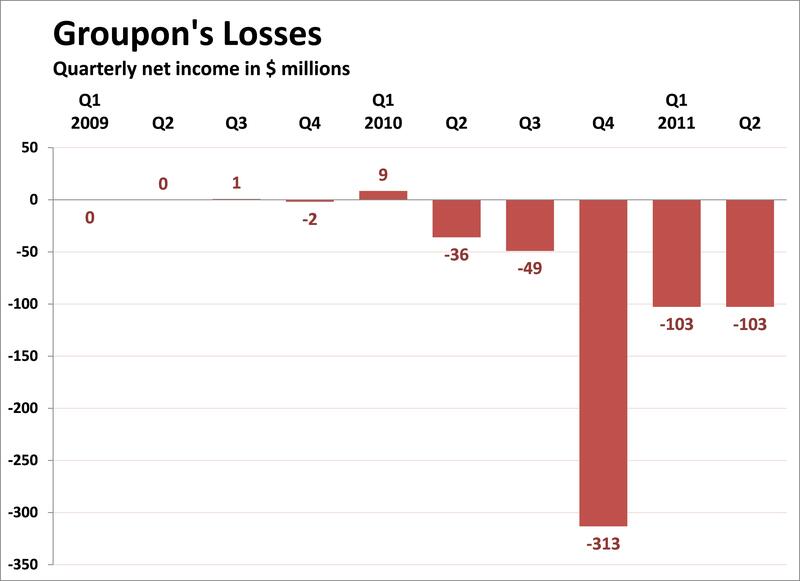 Only slightly less wow, by the way, is the fact that Groupon lost $103 million in the first quarter. Marketing and SG&A are expensive.